It's got the twitterverse all aflutter! 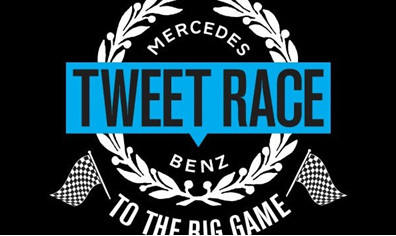 The Mercedes-Benz Tweet Race, just announced on Facebook, is taking applications for the first ever Tweet Race. The prize? A 2012 C-Class Coupe! Four teams, four cities, four Mercedes-Benz, and eight Super Bowl tickets, all vying to reach Dallas first. Beat out the three other teams and complete the challenges on the way, and you could win the grand prize! One twist to this race--apparently you can be "fueled" by your followers on Twitter. So start gathering followers now if you're interested in this one-of-a-kind race. 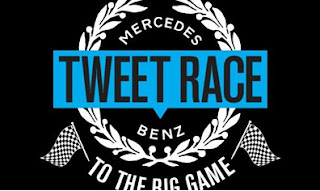 To find out more details, head over to the Mercedes-Benz Facebook page and get in your application or follow @MBtweetraceHQ on Twitter.